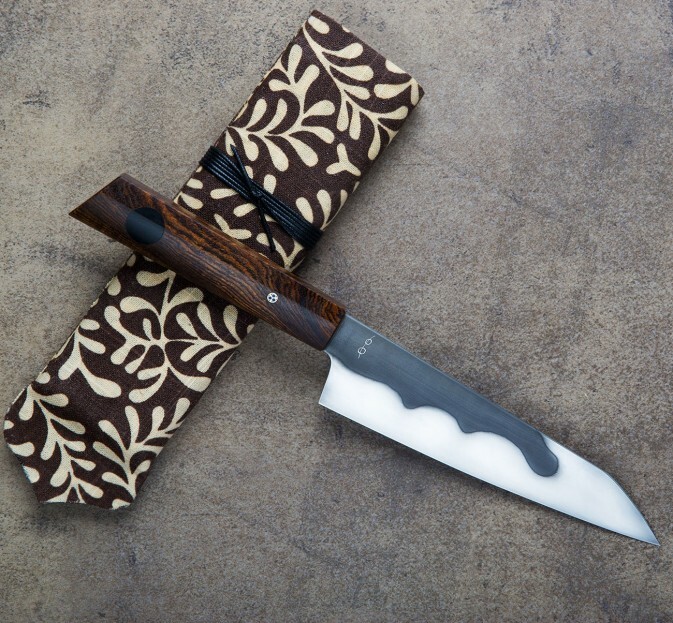 A hidden-tang Personal Chef model from Don Andrade with gorgeous bocote wood for the handle, topped off with ebony inlay and mosaic pin. Employing clay for a differential heat-treatment, the 1095 carbon steel blade is polished and etched to produce Don's stunning two-tone finish that provides not only good looks, but superb performance. 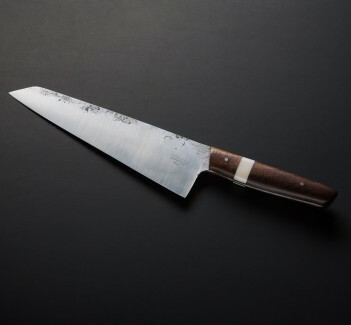 With a 7.5" (190mm) edge and weighing just 5.6 oz, this is an excellent knife made for an endless variety of daily tasks. A cloth-covered protective case is included. 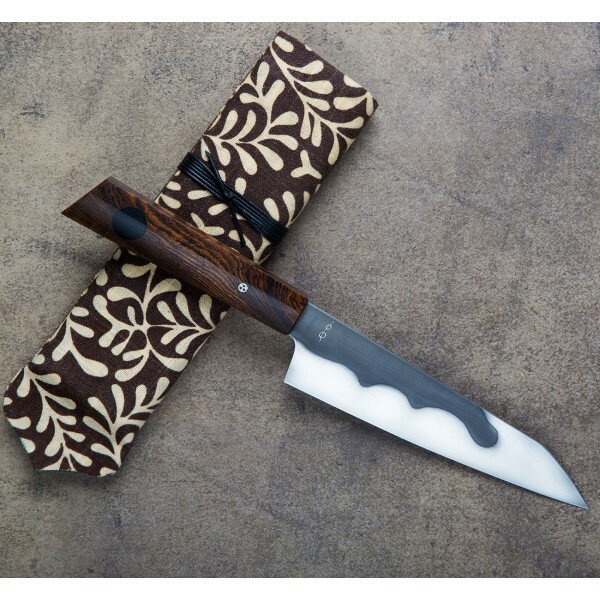 Another stunning sole-authorship knife from one of the best in the business, handmade in Los Osos, California. 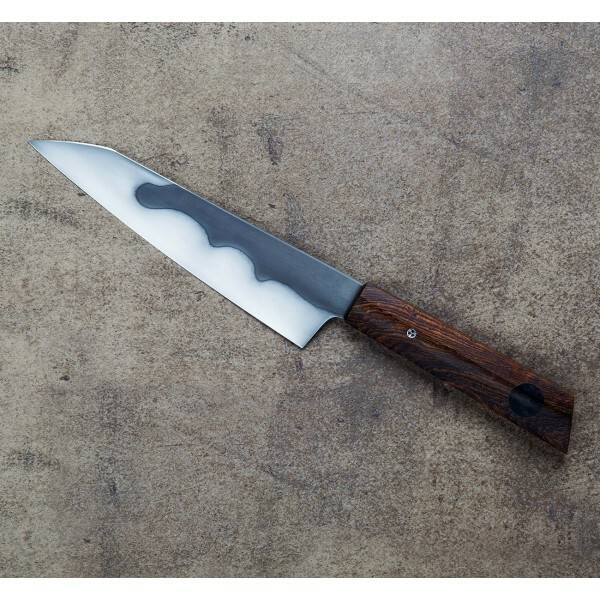 Don Andrade relies on his years in fine dining kitchens, decades sculpting bronze and stone and 10+ years bladesmithing heirloom quality chef knives to build tools that are as beautiful as they are functional. 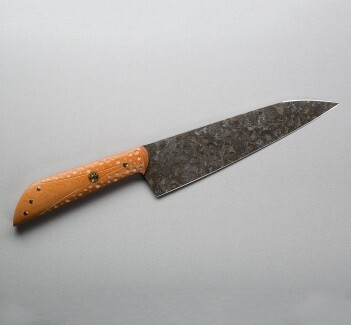 Differentially heat treated 1095 carbon steel blade. Bocote wood handle with ebony inlay and mosaic pin.